A life-long truth-seeker with an unquenchable thirst for meaning; DEEP MEANING. With an unwavering commitment to my own spiritual and healing journey I discovered the wisdom of horses at midlife (you can read about my journey in this #1 best-selling book). A discovery that would set my life on a whole new trajectory and birth a vision I hadn’t even been aware my soul was carrying. A vision of a safe space for people to gather, away from the daily distractions of their busy lives, and completely immerse themselves in the deeper callings of their soul. A place where we can come together and lay bare the frailties of our shared human experience in support of one another on this journey through life. Wisteria Acres Wellness & Retreats was born in 2010. A tranquil retreat center set amongst old growth trees and expansive pasture land where our herd of horses welcome and guide those on their own personal path of self-discovery. Where we welcome yogis, sound healers, meditation teachers and other healers who wish to share their unique light with the world (check out our events page). I am a certified Equine Assisted Learning Facilitator (Chiron’s Way – 2009), certified Professional Life & Leadership Coach (Erickson International – 2015) and best-selling author with an infinite respect for fellow journeyers who choose to endure the sometimes sharp pains of self-discovery over the dull pain of unconsciousness. 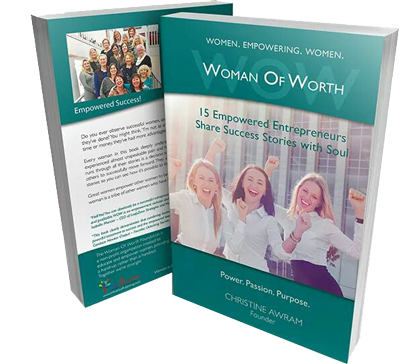 It is my greatest passion to guide and empower the lives of my clients through deep soul work. WANT TO KNOW HOW I FOUND MY SOUL’S CALLING? Partnering with horses naturally draws us into a right-brained intuitive, body-centered state where we can gain a full kinesthetic learning experience. Blocked or stuck emotional energy is released as new insights settle deep into your being. 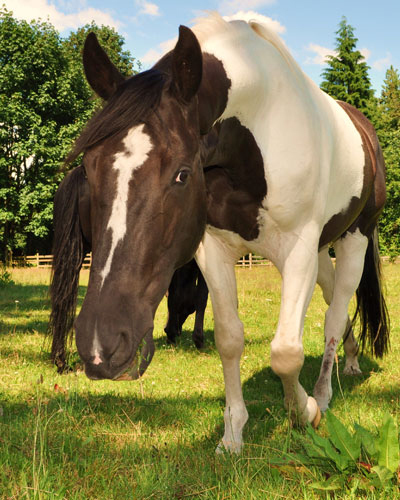 Our equine partners are an integral part of life at our retreat center, Wisteria Acres. Whether they are providing a peaceful backdrop to quiet moments of reflection, teaching us simple life lessons, or guiding individuals on their own inward journey, they are all valued for their special contributions. Cricket is a 18 year old Quarter Horse mare whose calm and steadfast ways offer a grounding presence to the herd and our space. Cricket is a gentle and masterful teacher. A perfectly timed nicker or a deep soulful gaze from her big brown eyes lets you know that it is safe to show up fully and authentically in this space. And with a nudge of her nose she will remind you to “let go and let’s go!” You’ve wasted enough time on those outdated belief systems. It’s time to blaze a new trail! Dubbed the “Mr. Ed” of Wisteria Acres. 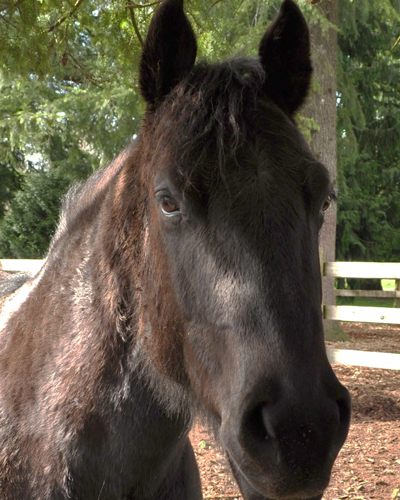 Romeo is an 16 year old, Paint, gelding whose shenanigans keep us all entertained. His bright and impish eyes gleam a mischievousness that is both heart-warming and challenging. He’s spirited, he’s playful and he loves to push the boundaries of life …and invites you to do the same! Romeo’s big presence commands your attention all the while inviting you to look beyond your fears to the well-spring of strength and courage that is yours to tap into in any moment, in any situation. 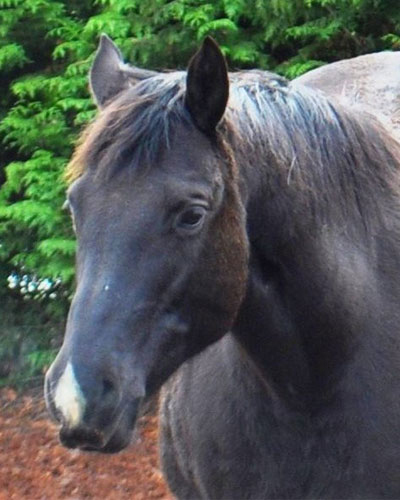 Rayne is a 22 year old Quarter Horse mare and ruler of the roost. A somewhat serious girl, Rayne reminds us of the importance of taking a stand for our self and the life we wish to create. It takes courage and commitment, and the willingness to forge new ground as we align our outer world with our inner soul’s desire. The heart of our herd and sacred space holder. 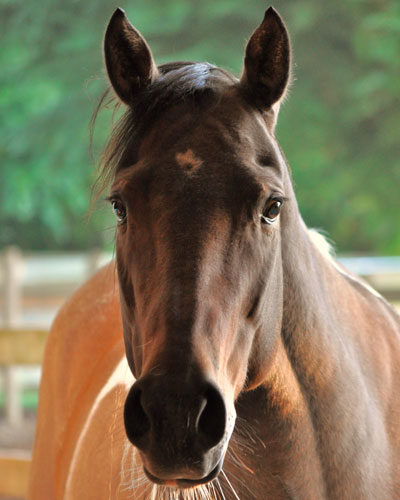 Cassi is a 14 year old Paint mare whose sweet and tender soul captures the heart of so many who come to Wisteria Acres. She embodies a sweet innocence with a very tender heart. Cassi reminds us of the need to be vulnerable during these changing times and to always be gentle with yourself as you’re learning to navigate these new trails. Always lead with your heart.